Their work aligns with Purdue's Giant Leaps celebration, acknowledging the university’s global advancements in artificial intelligence and health as part of Purdue’s 150th anniversary. 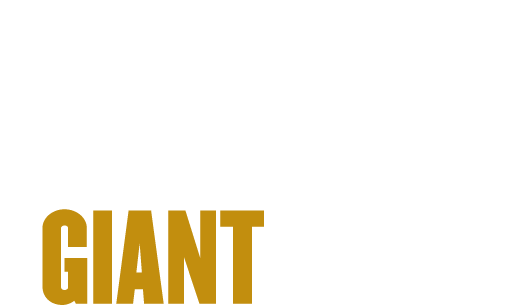 Those are two of the four themes of the yearlong celebration’s Ideas Festival, designed to showcase Purdue as an intellectual center solving real-world issues. 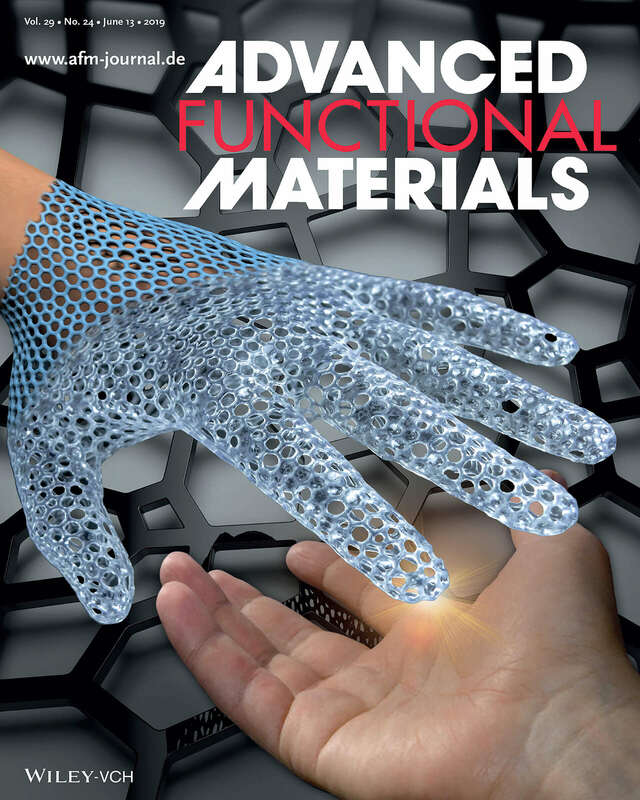 The limited range of mechanical responses achievable by materials compatible with additive manufacturing hinders the 3D printing of continuum soft robots with programmed actuation. 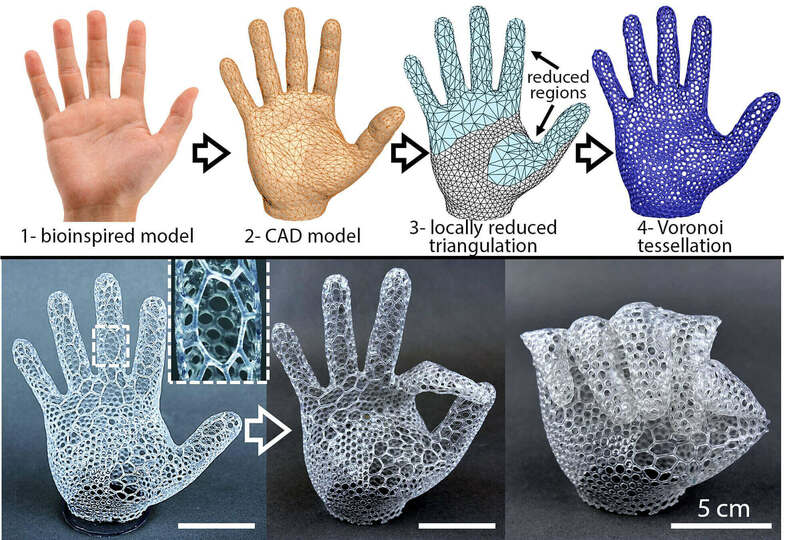 This article describes the rapid design and fabrication of low-density, 3D architected soft machines by combining Voronoi tessellation and additive manufacturing. On tendon-based actuation, Architected Soft Machines (ASMs) deform according to the topologically encoded buckling of their structure. ASMs are simple to design, fast and inexpensive to fabricate, light in weight, and easy to actuate. This class of soft machines is versatile: a single tessellation algorithm rapidly transforms primitive shapes, such as cuboids or cylinders, into actuators capable of producing a wide range of motions (contraction, twisting, bending, and cyclical motion) upon tendon-based actuation. ASMs exhibiting densities as low as 0.094 g/cm3 (~8% of bulk polymer) can be rapidly built by stereolithographic 3D printing of flexible photopolymers. ASMs with embedded electronic components can also be fabricated by the injection molding of elastomers. The buckling of ASMs can be easily programmed by inducing gradients in the thickness of their flexible beams or by the localized enlargement of the Voronoi cells to generate complex motions such as multi-finger gripping or quadrupedal locomotion. The topological architecture of these low-density soft robots confers them with the stiffness necessary to recover their original shape even after ultrahigh compression (400%) and extension (500%). ASMs expand the range of mechanical properties currently achievable by 3D printed or molded materials to enable the fabrication of soft actuators with auxetic mechanical metamaterial properties.